Edinburgh-based Forth Ports Group said it has received planning consent for a new £200 million port on the River Thames. The firm’s Port of Tilbury, the UK’s fastest growing port, has received development consent from the UK’s Secretary of State for Transport to build Tilbury2 – a new port terminal adjacent to the current 930 acre site in Thurrock, on the outskirts of Greater London. “With construction scheduled to commence in a matter of weeks, the privately funded port, Tilbury2, will be built on a site covering in excess of 150 acres, which was part of the location of the former Tilbury Power Station,” said Forth Ports. Forth Ports manages eight ports around the UK including Tilbury, Leith, Rosyth, Grangemouth and Dundee. Last October, Arcus European Infrastructure Fund 1 LP agreed to sell its shares in Forth Ports to the Public Sector Pension Investment Board (PSP Investments), one of Canada’s largest pension investment managers. PSP became the primary shareholder of Forth Ports with a plan to bring in a number of co-investors. Forth Ports said the expansion is essential for the Port of Tilbury to cope with rising demand for construction materials and aggregates from Britain’s construction sector, imported and exported cars, as well as an increase in commercial ferry traffic, which carries consumer goods, perishables (food and drink) and steel between Europe and the UK. Construction of the port, which will include a new rail and road connection, deep water jetty and pontoon, will bring the project cost to in excess of £200 million. The tender process for a contractor to complete this build has been completed and an announcement will be made shortly. 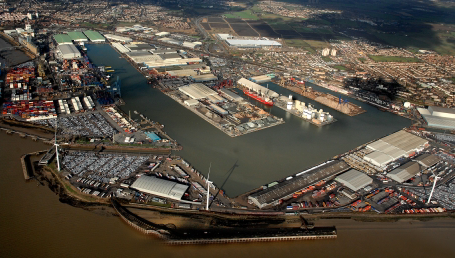 Tilbury2 is central to the Port of Tilbury’s £1 billion investment programme during 2012-20. Tilbury has doubled the size of its business in the past 10 years and is projected to double the volume of cargo across the quay from 16 million tonne to 32 million tonnes and increase direct employment (from 3,500 to 12,000 jobs) over the next 10-15 years. Forth Ports Group CEO Charles Hammond said: “This is great news for the UK at a time when the country needs its ports more than ever before. “Tilbury2 will deliver much needed port capacity to support businesses importing and exporting to and from Europe and the rest of the world. “The terminal will be fit-for-purpose for the UK’s departure from the European Union, utilising the latest technology and streamlined border processes, in support of continued market demand created by business growth.